Firms who are hiring new accountants or accounting majors have to understand where the newer generations are “coming from,” as a Boomer (born 1946-1964) might say, to target a style that will bring out the next generation’s (the Millennial Generation’s) strengths and maximize their effectiveness. This involves discarding biases and preconceived notions and enjoying our generational differences—and similarities! The future of the accounting workforce is dramatically shifting as we learn more about the different generational preferences and work ethics. The rapid spread of information, more technology, and a culture that is changing faster than ever before will continue to shape the future of the accounting workforce. There is a shift in the accounting workforce occurring as Baby Boomers continue to retire and Millennials take over management roles in companies. Millennial workers grew up in a technology-driven world. The way we do business has changed dramatically over the last 2-3 decades. As a result, they often operate under different perspectives than older workers do. Companies across North America that recognize that the differentiator is their people will emerge as winners in the battle for talent; therefore, they’ll design specific techniques for recruiting, managing, motivating, and retaining them. Another thing we are seeing in this accounting workforce shift is outsourcing the bookkeeping of the accounting department. A notable demographic shift began in 2011 when the oldest Baby Boomers (b. 1946) hit the United States’ legal retirement age of 65. As Boomers continue to retire members, Generation X will take roles in middle and upper management, and, Millennials will take management positions in the workforce. That process has already begun since some members of Millennials in their mid 30s (if we use 1982 as the beginning of the Millennial generation). Other scenarios that will become commonplace will include experienced Boomers reporting to Millennials, members of all 3 generations working side-by-side on teams, and, Millennials calling on Gen X clients. And, all this is going to happen while 3 generations (the Boomers, Gen Xers, and Millennials) continue the process of finding a way to get along in an uncertain workplace. This has made all the more interesting given the gap between these two generations. For example, Gen Xers complain that the Millennials are indulged, self-absorbed, and overly optimistic, while Millennials charge that Gen Xers are cynical, aloof and don’t appreciate fresh ideas and idealism. So, what is the answer to this frustration? Simply that the 3 generations, especially the Gen Xers and the Millennials, begin to understand and respect each other…. Gen Xers want a casual/fun/friendly work environment that allows them to be involved, offers flexibility and freedom. They also want an environment where they can continue to learn. It is important to remember that Generation X grew up in a very different world than previous generations. Divorce and two income families created “latch-key” kids out of many in this generation – which led to traits of independence, resilience, and adaptability. As a result, it is commonplace to meet Gen Xers who don’t want “someone looking over their shoulder” in a work (or social) environment. They want and are comfortable giving immediate and ongoing feedback, work well in multicultural settings, and take a pragmatic approach to getting things done. Gen Xers have redefined loyalty after seeing their parents face layoffs and experiencing the recessionary period in the early 1980s when jobs were scarce and job security was poor. As a result, they are committed to their work, to the team they work with, and to their boss, but not necessarily the company they work for. Unlike the Baby Boomer generation which would complain about their job but accept it, Gen Xers send their resume out and accept the best offer they can find. But that does not mean that Gen Xers do not take their employability seriously. Their career choices are flexible, and they are willing to move laterally, stop and/or start over in their careers. Instead of a career ladder, they have more of a career lattice. Since Gen Xers dislike authority and rigid work requirements, a hands-off relationship is necessary, coupled with giving ongoing feedback on their performance (it is best to keep them informed of your expectations and the measures you will be using to evaluate their progress) and encouragement to be creative and show initiative in finding new ways to get the job done (in fact, Gen Xers work best when they’re told what the desired outcome is and then told to achieve it). They prefer to work “with” you, not “for” you, and are eager to learn new skills because they want to stay employable. Unlike Gen Xers, Millennials want a structured, supportive work environment, personalized work, and an interactive relationship with their bosses. This group is technically literate like no one else since technology has always been part of their lives. They are typically team-oriented, work well in groups, are accomplished multi-taskers, and are willing to work hard with structure in the workplace. They acknowledge and respect positions and titles, and want a relationship with their boss. But this is something that many Gen Xers are not comfortable with, given their desire for independence and their preference for a hands-off style. Millennials believe that their success will be linked to their ability to acquire as wide a variety of marketable skills as they can, and are looking for mentoring, structure and stability in the firm they work in. Thus, they like to be managed and coached in a very formal process. For example, they like set meetings and a boss who acts like their boss. They also like lots of challenges. Effective management of Millennials requires that you break down their goals into steps and give them the necessary resources and information they’ll need to meet the challenge. In fact, successful managers often mentor Millennials in groups since they work so well in team situations. They use the opportunity to act as each other’s resources or peer mentors. All of this has translated into a generation of employees with a different work ethic that is different from their Gen X colleagues/bosses. Millennials’ liabilities include a distaste for menial work, poor people skills when dealing with difficult individuals, a tendency to be impatient, a lack of experience, and over-confidence. In fact, they work and learn best in teams. They also thrive in a structured environment that offers experiential learning. What do Millennials Want from Employers? So, what do we do with all this information? Well, we have been giving lip service to the concept of internal customer service, specifically treating employees with the same respect and attitude we do customers. Thanks to the new generation, that is about to change – at least in successful firms. This meansmeetings needs to learn to meet their high expectations, listen to their ideas despite their lack of experience, learn to respond in a positive/respectable manner than a negative one, and embrace their knowledge of technology (and not feel threatened by it). Learn from them. Companies such as Procter and Gamble, Siemens and General Electric have set up tutoring for middle-aged executives and or reverse mentoring programs so their executives can better understand new technologies. http://top7business.com/?id=3023 Top 7 Keys to Managing Millennials in the Workplace by Gretchen Neels. Connecting Generations: The Sourcebook by Claire Raines, published 2003. Managing Generation Y by Carolyn A. Martin, Ph.D. and Bruce Tulgan, published 2001. Be prepared for how the changes expected in the accounting workplace. But there are a few recruiting strategies that are tried and true – through all generations. 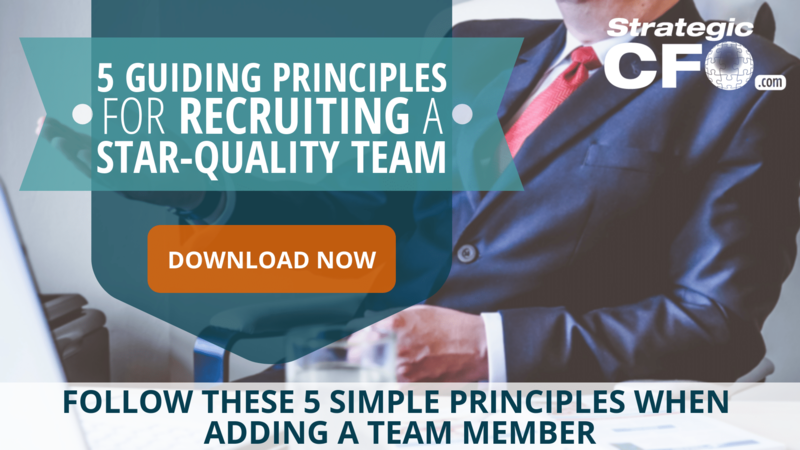 Learn what they are in our 5 Guiding Principles For Recruiting a Star-Quality Team whitepaper. Hiring is one of the many costs that are often overlooked in a company. Whether a company notices or not, hiring costs can be high. Unfortunately, there is no way to completely avoid them because you need people to run your business. However, there are some things you can do to minimize these costs without affecting the candidate quality. 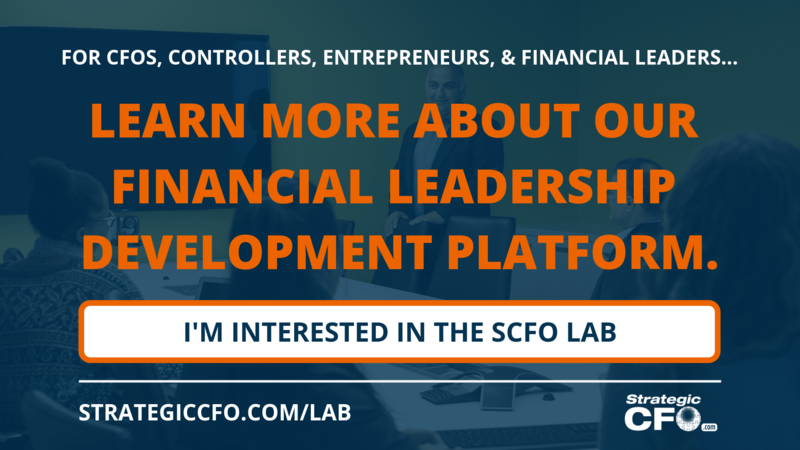 Is it time to hire a CFO? Click here to read our When to Hire a CFO whitepaper. Here are 5 ways to reduce costs when hiring. The screening call should only take you a few minutes for each candidate. In addition, you should be able to quickly identify who you want to interview and who you do not want to see again. Going through this process will provide you with a short list of quality applicants, thus saving your company time and money. You can also provide an assessment test that puts the candidate in an actual job situation. Don’t want to screen candidates? Let us to the work for you! Short|LYST completes the hiring process up until the actual hiring of the candidate. Learn more about Short|LYST here. Whether you have a job board on your website or have an account with a job board like Indeed, utilize those job boards. If you do not get a lot of traffic to your website or have a huge email list, then use a board like Indeed or Monster.com. However, if your website is already optimized, then use it! In addition, social media is at the palm of your hand. Various recruiters are now using social media to find candidates, whether it is through Facebook’s new job posting feature or LinkedIn’s job board. Not only can you use these platforms to post and promote company announcements, but you can also use them to communicate directly with potential candidates. Instead of wasting so much time collecting various applicants from different sources, ask some of your trusted employees if they know anyone that could be suitable for the open position. In fact in a 2015 SilkRoad study, employee referrals produced more hires than any other source studied. Referred candidates are usually of higher quality and are more likely to feel connected to company culture once hired. The last way to reduce costs when hiring is to use Short|LYST. What is Short|LYST? This platform is revolutionizing the hiring process. First, the candidates apply to one company (The Strategic CFO). We take care of the entire hiring process up until making the decision to hire. Then employers search Short|LYST for their perfect candidate. These candidates have been screened interviewed, vetted, and recommended for hire. Learn more about Short|LYST here. When a company decides it is time to hire someone, it can be an exhausting process. From job postings to interviews, a lot of time and money goes into a company’s hiring process. While hiring can be a burden, it is crucial for a company’s development and success. Let’s dig into the pain of hiring. Here are some of the potential downsides that come with the hiring process. Hiring provides you with new struggles and worries that might really affect your wallet. First, you must pay for the job posting if you sponsor a job ad. Depending on who your target market and outreach is, this costs a hefty buck. No one’s time is free. After that you or your employees have to spend time interviewing them, you have accumulated a lot of paid time focusing on that position. Now, once you have screened your candidates, there are various routine procedures that can add on to the cost, such as assessment tests, drug tests, and background checks. Not only does the hiring process impact your financials, it also takes a lot of your time. Countless number of hours go into finding the perfect candidate. From the interviews to the training, time keeps ticking. That is valuable time that you could have been spent elsewhere improving the company, making sales, or retaining customers. Time is money! Even after spending a lot of your company’s time and money, you still run the risk of hiring the wrong person for the job. If you hire the wrong person, then not only do you have to go through the hiring process all over again, but it can also cost the company in a variety of ways. From decreasing company productivity to impacting customer relationships, hiring the wrong person can have large negative effect. In addition, terminating the new hire can also be a difficult task that is avoidable if you screen, interview, and vet properly. Learn what to look for when hiring with our 5 Guiding Principles to Recruiting a Star-Quality Team. Here at The Strategic CFO, we have developed our own unique version of hiring that can save you countless amounts of time and money. Instead of screening hundreds of candidates, interviewing dozens more, and risking not even finding the right candidate, Short|LYST does that all for you. Our team of experienced HR and financial executives take the financial and time burden off from the employers. All the employer has to do is pick and choose which recommended candidate they want to take forward. Learn more about Short|LYST here. It’s hard for companies to realize how much they are actually spending when it comes to hiring a new employee. Once they decide it’s time to pursue a new worker, a lot of resources are used to find the perfect candidate for the job. Finding the perfect candidate within a vast number of people might be very difficult, therefore costing a significant amount of time and money to the company. There are certain steps a company can take in order to minimize these costs. In this blog, we will walk through what the current hiring process costs. 17 x $75 = $1,275! That is not even adding the cost that you spent advertising for the job posting, drug tests, background pre-screenings or assessment tests! As you can see, hiring a worker is clearly not free, it can come with various unexpected costs that sometimes can go unnoticed. Companies should take proper measures to minimize these costs because as you can see above, each recruiting process can cost a hefty amount. Even after spending countless amounts of time and money finding the perfect candidate, companies still run the risk of a bad hire. Maybe they needed to fill the job quickly, maybe they didn’t have enough talent intelligence, or maybe it was just an honest mistake. But hiring the wrong person can have significant effects on the company’s performance. Hiring a person that does not provide value to the company can be critical hit to the company’s development. Not only does it waste the company money, but it can also have a negative influence on company culture. Be cautious when it comes to hiring a new employee and take proper measures to properly decide on the best candidate. Thoroughly define what exactly are the duties and responsibilities you are looking for and add these to the job description. Make sure they are as clear and accurate as possible. Try to have a job posting that will attract qualified candidates and discourages others. This will help you save a considerable amount of time in the screening process. Do some research on what type of job posting resources will work the best for your company, whether its posting online, in a school placement office, or through an employment agency. The way you find you candidates can have a remarkable difference on the quality of your applicants. Think of what your ideal candidate will look like. Then, have a strict screening process that would weed out applicants that would not be suitable for your company. After this, rank your remaining candidates in order from most to least suitable. You can also choose to have an assessment test that would measure their abilities in an actual job-like situation. Once you have chosen your ideal candidate, now it’s your turn to sell him on the job. Remember that the strongest candidates will always have more opportunities. Hiring is a two-way street, so make sure you convince your candidate by communicating a strong vision and mission for your business with enthusiasm and sincerity. It’s 2018. With private companies launching rockets into space and technology recognizing faces, the question we asked ourselves was… Why is the current hiring process the same? Everything else from time keeping programs to communication software to automation has allowed businesses to succeed in 2018. There had to be some revolution to the hiring process, but the only changes in the past couple of decades are search firms, head hunters, and recruiters. That’s why we created Short|LYST. It allows employers to bypass the current hiring process and cut the current hiring process at least in half. Instead of screening hundreds of candidates, interviewing dozens more, and risking not even finding the right candidate, Short|LYST does that all for you. Our team of experienced HR and financial executives take the financial and time burden off from the employers. All the employer has to do is pick and choose which recommended candidate they want to take forward. Learn more about Short|LYST here. Hiring is an important aspect in a company’s development. When you know it’s the right hire, it can benefit the company in countless number of ways, such as saving money, increasing productivity, and improving employee morale. However, when done incorrectly, it can damage the company significantly. A company should always be able to determine whether the person they hired is truly beneficial to their organization. Below you can find some tips that can help you know whether your new hire is a correct fit for your company or not. Is it time to hire? Do you feel theres a need for an extra hand in the workplace? Or maybe you need a fresh mind to help your creativity? If the answer is yes, then it is time to hire. If you are constantly feeling burnt out and frequently running out of creative ideas, then extra help is crucial. Without extra help, the quality of your work may hinder and that could essentially lead to lower company performance. Adding a new member to your team can have a significant impact. Hiring a new employee can help increase efficiency, performance, and creativity. By hiring a new employee, you decrease project work time, bring in new ideas, and get a brand-new perspective. If it’s time for you to hire, consider the costs associated with hiring. Our team has created a platform called Short|LYST that connects employers to employees that we would hire ourselves. Learn more about Short|LYST here. A new hire should be an asset to the company. They should provide value and bring in more than they cost. Finding the right hire might be difficult, but once you find the right hire, it will be all worth it. A new hire should always have the correct skillset, be reliable, and produce quality work. A new employee should be comfortable in the job and everyone in the office should be comfortable with him. A recent hire should be able to provide quality work and should be adaptable to various circumstances and scenarios. He should be easy to train as well as being comfortable to learning new things at a constant pace. When you know it’s the right hire, you should feel at peace. There shouldn’t be any conflict in your mind. The hiring text books will tell you that there’s a science to hiring. But you have to realize that you are a human dealing with humans. At some point, you have to trust your gut feeling. You can tell in the first few weeks of employment whether the new hire is a good fit. Even if they have a superb skillset or amazing abilities, sometimes it could be their mindset that could be unsuitable for the company. Their approach to the job and their character can be a huge predictor whether someone is fit for the company or not. Work for their own benefit and not for the company’s. Here are some tips for hiring the correct person. Define what you’re looking for Think of what the ideal candidate would look like. Completely define what duties and responsibilities you are looking for and add these to the job descriptions. Attract a large pool of applicants Attract the maximum number of applicants that your time and budget allow. Research what type of job posting resources would work best for your company and use those. Sell your ideal candidate. Once you have your ideal candidate, sell him the job. Remember that hiring someone is a two-way street. Communicate your strong vision and mission for your business with enthusiasm and sincerity. The strongest candidates will always have more opportunities, so make sure you convince the candidate that this job is the one he should be taking. Learn about the 5 Guiding Principles to Recruiting a Star Quality Team here. Start your hiring process with Short|LYST. Short|LYST offers candidates that we would hire ourselves for various accounting and financial positions. Each candidate is screened, interviewed, vetted, and recommended for hire. Interested? Learn more about Short|LYST here.